Jan. 4, 2011 Tags: News. I read this article and wanted to share it with you: Cease and Desist https://blog.sonlight.com/cease-and-desist.html. As my dad recently blogged: The new year is a time for considering the future. But it needs to be more than just figuring out what new things we are going to do. We also need to figure out what we're going to stop doing. With a limited amount of time each day, we have to "pick our battles." We can't do it all. So along with resolutions like reading more, exercising more, praying more, or whatever other things we will do more of... what are we going to do proportionally less of? Put another way: What are we going to stop, quit, cease and desist? If you've been following this blog long enough, you may recall the start of our adoption story and then our surrogate parenting gig. But now, just as the days of being surrogates came to a close, our adoption story is over as well. I left a message with the agency. I hate leaving messages. That text message, from my wife, was the conclusion of this crazy journey. The impact of this change is vague and muted. We've been living as if the adoption were over for a long while now. We just finally, with the new year, made it official. We pulled the plug. Will it free us up to do other things? I don't know. I guess. Perhaps. Any changes at the start of this year for you? 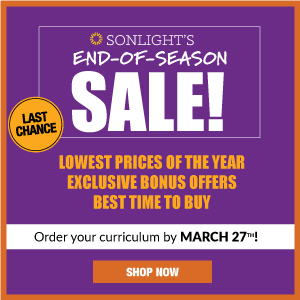 If you're looking for a tool that will help you with your homeschool planning, don't forget to make use of your Sonlight Instructor's Guide. P.S. Brittany blogged yesterday after she called the agency. P.P.S. 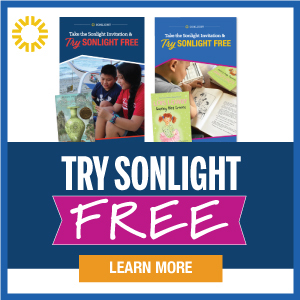 The fact that I'm not using Sonlight with my own kids does cause me to question the future of what I have to offer here on Sonlight Blog. 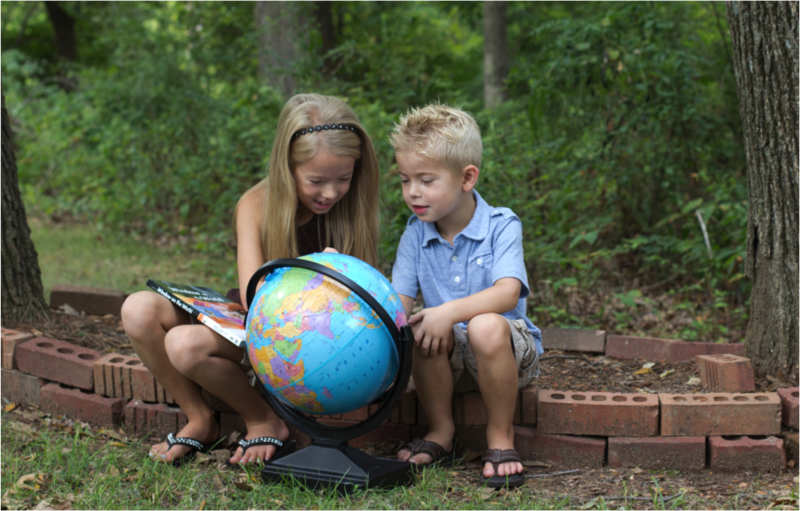 I felt I had a certain amount of blog cred from being on the adoption journey. I feel I've lost that now. That loss stings as well. I'm so sorry about that adoption journey coming to an unsatisfactory end. Is it that it had dragged on too long? Were the children from Khazakstan? Is that right? And didn't they put a moratorium on international adoptions? Or was it some other thing that led to the decision to end that pursuit? Will you try for adoption through another route? Please don't stop blogging for SL. Your "PPS" makes it sound like you're doubting your ability to contribute. Heck, you GREW UP with SL, and your input, it appears, continues to be valuable. I think you have a LOT to contribute to the SL community, and to homeschooling in general. 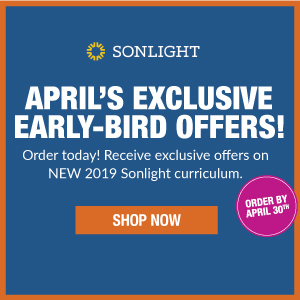 For we mothers who are using SL, it is important -- at least, it is to me -- to see a "graduate" of the "system" (even though you didn't use SL through high school) be successful. Even if you don't feel currently successful. You sold me, quite a while ago, on your legitimacy as a SL blogger; I had doubts at first! Please don't give up. Luke, your cred is the same as it always was. Your heart is just broken now. And that's how it probably is supposed to feel, yk? There would be something seriously wrong if you were skippedy-do-dahing along as though everything were ok. It is not ok. None of this is ok. I'm praying for you and your family that somehow it will be OK later. ditto-ing Karen Joy and Happy Elf Mom. You've lost no credibility as a SL blogger. None at all. You were the original (or one of the original) beta testers : ) You will always have cred when talking about this program. Hugs to you both. Please don't stop blogging. All your dreams will come true, how can they do anything but? They may not happen in your perfect idea of timing. Hang in there. Karen, yes, the process has shown no signs of moving and the children are now way older than we felt comfortable with. ...and the time just keeps on ticking. Kyrgyzstan isn't officially closed, but it's not officially open either. Will we try adoption again elsewhere? That is unclear at this time. Thanks for the encouragement. 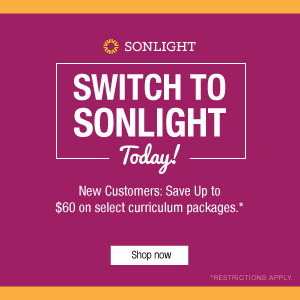 I don't plan to stop blogging for Sonlight. But I do feel a loss of another level of insight. Mrs. C (Elf Mom), thanks for your prayers and encouragement. Christmas was actually really good. But there was this looming decision. I know it's been weighing on Brittany for a long while now, and got really heavy toward the end. This long, slow slide to nothing has been hard, but perhaps not as hard as other ways this could have played out. Thanks, Reader. It certainly felt odd to write those words of finality. There's now a general heaviness around the whole thing while we wait for our next move.